Cold weather might be starting to grip parts of Canada, but many Mazda owner's are going to be able to drive their 2015 Mazda cars and crossovers from Vancouver to Montreal with a little more peace of mind. That's because Mazda Canada is instituting an unlimited mileage warranty for its new models. The updated plan starts with all 2015 model year vehicles (even those already sold), and the scheme simply removes that distance limit on everything but the emissions defect coverage. 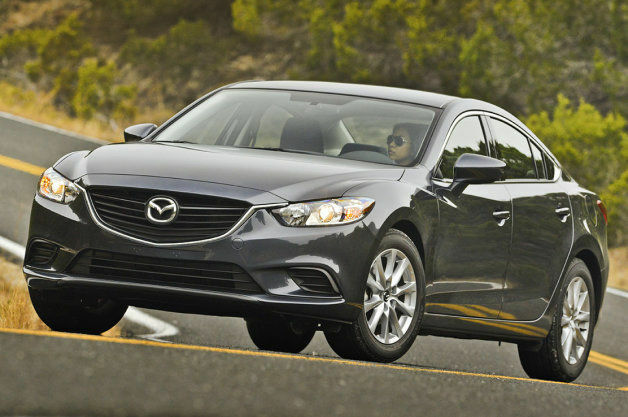 That means that the Mazdas have one year of service adjustments, three years of new vehicle coverage, five years on the powertrain, seven years against corrosion and three years of roadside assistance for as many kilometers as the owner drives. The change removes at least one, tiny piece of anxiety about buying a new vehicle because it's easy to know when the coverage ends. "By offering our customers an Unlimited Mileage Warranty, we believe it will enhance their ownership experience by alleviating concerns such as kilometre limitations, repair costs and resale value," Kory Koreeda, president of Mazda Canada, in the automaker's announcement. Scroll down to read all of the details about Mazda's new unlimited mileage warranty coverage for Canada. RICHMOND HILL, ON, Nov. 13, 2014 /CNW/ - Mazda Canada Inc. announced today a new Unlimited Mileage Warranty, eliminating the distance limitations on their factory warranty coverage allowing owners to drive as much, or as far, as they want. "Mazda's focus is on long-term customer satisfaction," said Kory Koreeda, president of Mazda Canada Inc. "By offering our customers an Unlimited Mileage Warranty, we believe it will enhance their ownership experience by alleviating concerns such as kilometre limitations, repair costs and resale value." The Unlimited Mileage Warranty will be retroactive to all customers who have already purchased a 2015 model year Mazda vehicle, and is fully transferable to subsequent owners. "An Unlimited Mileage Warranty fits perfectly with our brand," said David Klan, Senior Director of Sales, Marketing and Regional Operations. "Mazda is a company that always challenges traditional conventions to make improvements. Driving enjoyment is essential to Mazda; it's in our DNA, and every car we make. So offering a different kind of warranty that doesn't restrict customers from enjoying their vehicle and driving as much, or as far, as they want is an ideal fit."